U & ME MOVING & STORAGE acts as agent for interior decorators, home owners, condominiums, cooperatives, professionals, government agencies and others. Make your moving experience, hassle-free. To eliminate unnecessary added stress, you’ll want to work with a moving and storage company that understands your individual needs and works to accommodate those, making your moving experience as convenient and hassle-free as possible. For an easier move all together, there are many reasons you may turn to long-term storage from a moving company. You’re downsizing your home but don’t want to get rid of certain belongings. You’re a college student needing a place to keep your extra stuff while you’re away at school, until you graduate and can buy or rent a larger space. We store, receive and deliver a wide range of goods. Our expertise and special handling of fragile items is unsurpassed. 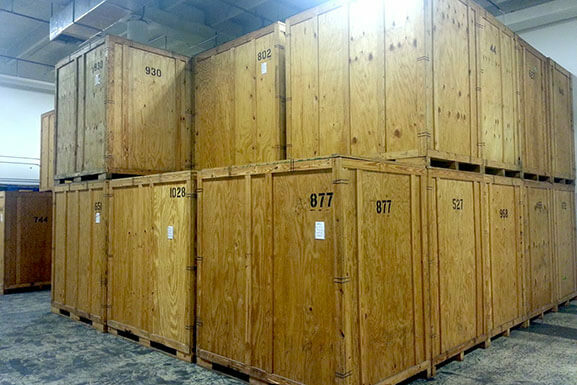 When we move your belongings, your specialty items are crated in our warehouse with customized crates built on the premises. This way we ensure that your items get the best possible attention either for storage or shipping anywhere in the world. Concerned about packing? It’s not unusual to be worried about this; after all, you want to be sure that items are thoroughly protected throughout every step of the packing and shipping process. We understand this importance, and are happy to supply our customers with the resources and packing supplies to ensure this is taken care of properly. With U and Me Moving, we guarantee that our approach to packing will maintain the well being of your special belongings.